Great news, the latest Elder Scrolls Online Tamriel Unlimited update has already come out. Version1.14.1.0 for Xbox One and Version 1.42 for PS4. Read the full patch notes now and this would complete this game furthermore to some extent. It'll improve the players gaming experience, such as gathering ESO gold or accelerating level up aspects. Lately, the Elder Scrolls Online Tamriel Unlimited just received its big expansion and then it was followed by some short hotfixes and minor updates, which are used to resolve any issues. 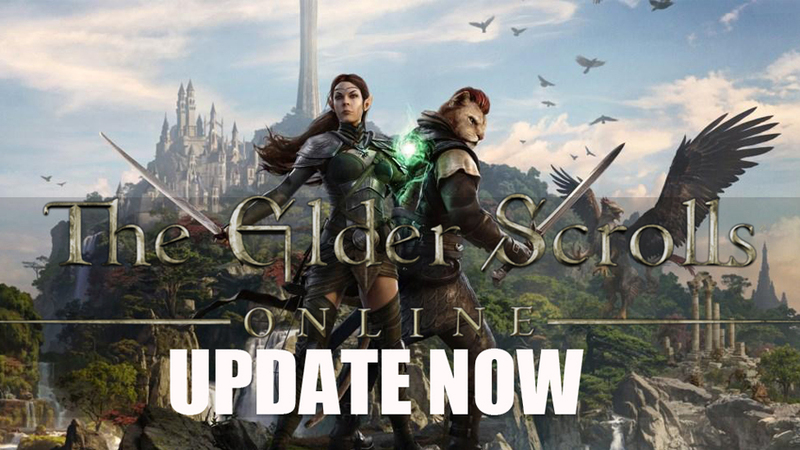 Yesterday, Bethesda Softworks has released a completely new The Elder Scrolls Online update version. For 1.42 version, which allows you could download on the PS4 platform, meanwhile, it is also available as patch 1.14.1.0 on Xbox One platform. Here is the full set of patch note for this latest update, as written and shared by Bethesda Softworks developers. The update of The Elder Scrolls Online v1.42 contains, improvements to performance in Trials, and a fix for character re-ordering so the order will be saved now. Besides, there are also have some combat fixes, include single-target cast time abilities canceling the cast immediately and a change for Weapon Enchantments and poisons so they no longer proc from single-target DoT effects. in addition to other smaller bug fixes affecting other parts of the game. And finally, this size of the patch is 1GB. In this update, now you can quickly travel to group members who are inside the Teeth of Sithis or Tsofeer Cavern Delves. Teeth of Sithis: Now you are able to find all this game required objects to complete this tough quest. In this update, it also fixed an problem where Psijic Portals were appearing in Murkmire more often than expected. Psijic Portal appearance rates are now in line with those of most other zones, with Summerset having a greater appearance rate (as expected). In this update, another problem that has been fixed was, preventing Bloodscent Dew from displaying an icon in your inventory. In this update, it fixed an issue where single-target cast time abilities, such as Uppercut or Dark Flare, would cancel the cast immediately if you did not keep your target within your reticle during the entire cast time. Fixed an issue where you can use “pull” abilities, such as Fiery Grip or Silver Leash, to move immovable monsters. .Major Expedition’s visual effects will no longer become stuck on player characters. .Fixed an issue where spamming cast time or channeled abilities, such as Puncturing Strikes or Dark Flare, would cause a delay to occur between each cast of those abilities. The Elder Scrolls Online Tamriel Unlimited is available now for the PS4, Xbox One, and PC.